SCMP took a closer look into Asian cities with strong economies, business-friendly policies and well-developed infrastructure. Tax incentives and different programmes designed to support entrepreneurs are making some of these cities more attractive than others to base your tech startup there. Beijing, Shanghai, Hangzhou, Greater Bay Area (GBA), Singapore and Seoul are the ones leading the game according to the SCMP. Even if the GBA's blueprint is expected to still further develop and its full potential is yet to be seen, the 11 cities included in the Greater Bay Area are already set to compete closely with Silicon Valley. "With a total population of 70 million and an economy worth more than US$1.5 billion, the 11 cities which make up the Greater Bay Area (GBA) are expected to eventually develop into an integrated innovation and technology powerhouse to rival Silicon Valley"
Those 11 cities are: Hong Kong, Macau, Shenzhen, Guangzhou, Dongguan, Zhuhai, Zhonghan, Foshan, Jiangmen, Huizhou and Zhaoqing. 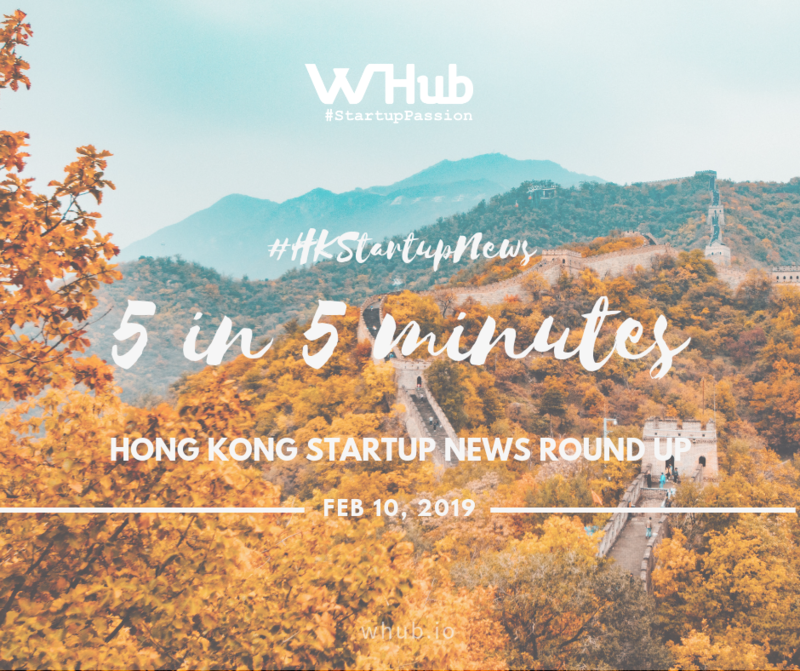 Read WHub's Hong Kong Startup Ecosystem Toolbox to learn more about HK as a Tech hub. Co-founders, CEO Raymond Wyand and COO Victor Lang, successfully raised a second seed round with a US$1.6 million investment from two investment companies including Vectr Ventures. gini is a smart spending-tracker enabling each and every person to keep track of their finances. Using a bank-level security, they allow users to bring all their bank accounts and credit card in one app allowing the user to take control over its finance. This recent funding will support a global roll out plan where gini plans to be compatible with over 3,000 overseas bank in 60 countries by second half of 2019. Congrats and keep on rocking gini! Crunchbase, the leading platform related to business information about startups, including investments and funding information, founding members and individuals in leadership positions, mergers and acquisitions, news, and industry trends, and WHub, Hong Kong’s leading startup community platform and power connector, have signed a Memorandum of Understanding on January 24th. This marks the beginning of a strategic partnership through which both companies will jointly work on giving their respective communities access to each others ecosystems and services in order to foster growth and drive opportunities to be leveraged by all members. PopSquare is a cluster of a pop-up marketplace that helps designers and innovators set-up and run their popup stores simultaneously across different locations, according to popsquare.io, which also mentions that they can help save up to 90% of effort and time vs. other solutions. Awethentic Studio is an AR/VR agency targeting luxury brands by creating for them immersive experiences. For example, they created a 3D avatar scanner that can be used in retail stores to get instant feedback from customers and enhance the shopper experience. SnapPop aims to revolutionise O2O marketing and transform the physical world into a digitally interactive world. They use technology such as computer vision, beacon and GPS on their SaaS platform to enhance in-store shopping experience. Zectr uses an AI system to conduct research, analyse data and give business recommendations to customers helping brands make better decisions based on what their consumers really want. 97 new unicorns were born in China over the past year (2018) according to Shanghai-based research firm Hurun Report. According to the same report, 23 of the new unicorns are E-Commerce startups, 9 in Medical & Health and 8 in Education to mention the three sectors leading the list of newly born unicorns. "Beijing, Shanghai and Hangzhou were home to the most number of fast growing Chinese startups last year, with 79, 42 and 18 unicorns, respectively, based in those major cities" says SCMP. Not only the number of unicorns, but also their respective valuations are setting new benchmarks: End of January 2019, Ant Financial's valuation, China's most highly valued unicorn, exceeded 1 trillion yuan, over 148 billion USD. And in total, all 186 unicorn start-ups last year, have a combined valuation of more than 5 trillion yuan (US$736 billion).